Attention all investors, 43 ac with potential for development. Current Zoning per City Master Plan is Low Density Residential (LDR) / R2 (i.e. 2-units per Acre). According to City Planning Dept. 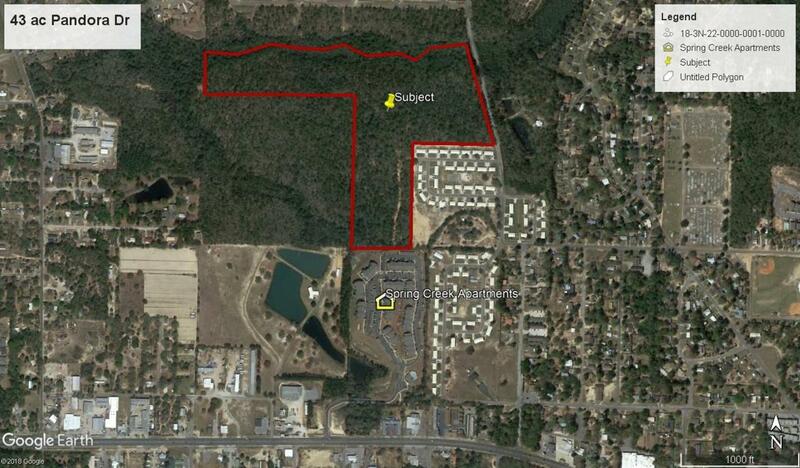 a Master Plan amendment is required to increase density to R-15 or greater; however, since adjacent apartment is already zoned R-15 upgrading these parcels to R-15 will be just a formality A lot of preliminary talks have already been done with the City of Crestview for adapting changes. There are adequate sewer, water and electric available to this property already in place, with just some minor adjustments. Over 400 ft on a County paved road for access. Come look at the huge potential for this land.